Mothering Sunday is not always a day to recognise, particularly for those who have been bereaved. 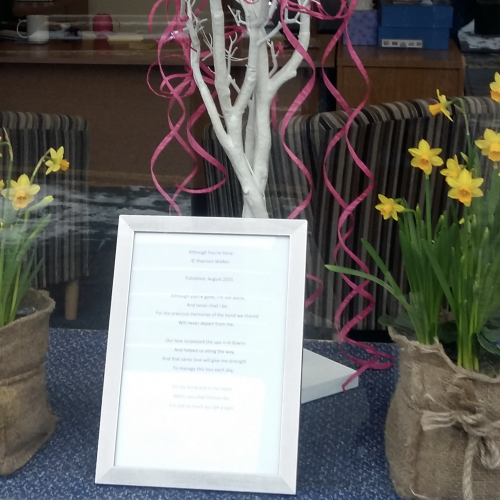 Jill Palmer at the Windsor branch of Lodge Brothers placed a small memory tree in the window of her branch to encourage anyone who wanted to remember their beloved mother by placing a pink ribbon. As you can see a number of the good people of Windsor took up this offer. District Manager Richard Leachman commented: “it’s a very simple but effective way for people to mark the day in a meaningful way”.